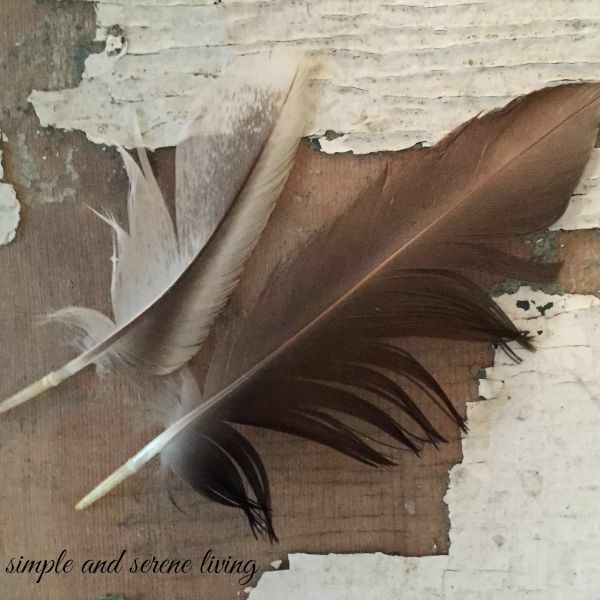 F Simple and Serene Living: SINCE WHEN IS LIFE A TRASHY TABLOID MAGAZINE? SINCE WHEN IS LIFE A TRASHY TABLOID MAGAZINE? Am I just getting old, or has life become a trashy tabloid magazine? This has nothing to do with trashy tabloid magazines, but I don't have any to photograph. It seems that I can't turn around anymore without seeing trash. It seems that our daily lives have become permeated with it. Once reputable news sources are obsessed with it. Publishing networks can't seem to get enough of it. Friends, family, work colleagues, churches, politicians......have all jumped on the trashy tabloid magazine bandwagon. It makes me wonder what has happened to our society. When did it become acceptable to gleefully trash anyone and everyone's lives? What is now seen as front page news are items that once would have never seen the light of day in a legitimate newspaper or on national network news. I am tired of all the trashy so called news, so I have been deleting news sources from my Facebook feed and I no longer watch television news. There are enough real problems in this world. I don't need to be constantly bombarded with information that I could find in a supermarket tabloid if I choose to read one. I don't. I don't know about you, but I would rather spend my time taking a walk and enjoying nature, reading a good book, cooking a healthy meal, or learning something new and interesting. It just seems like a simple choice to me. How do you feel about living life in a trashy tabloid magazine? I agree. So many have jumped on the trash bandwagon. Life is a gift not to be abused with trash. God wants us to live life for his glory, enjoying the beautiful world he gave us to live in and the other people who live here with us. It is totally upside down for us to embrace a trashy world, when real life was designed to be so much better. Facebook, TV, etc. seem to all be sources of too much trash. It's a great idea to turn it all off and take a walk, enjoying God's creation. Nice post, Laura. Trashy news would love for us to believe there is nothing beautiful in the world. Here, here!! Cheers to you - and to this awesome post! I can't stand watching the news....it's ridiculous how much garbage TV is out there these days! and it is so sad how many people believe all of the trash out there. Life is much more serene when we don't let all of that trash into our homes, Sheila. Been feeling the same way ... appreciate hearing I'm not the only one. As I've been culling clutter from my home these past weeks, and it includes feeds on FB and TW. 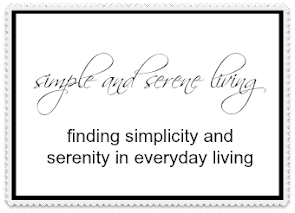 Thank you so much, Laura, for your blog which adds loveliness to our world and my life. Totally agree with you. I haven't watched TV news in many years and the only newspaper we get is the Sunday one. I've never even read a tabloid magazine or newspaper in my entire life. I only like watching and reading pleasant things whenever possible. Life is stressful enough with all that other needless garbage. I don't understand the thrill many people get from reading trash about other people's lives. I guess in some way it must make them feel better about their own lives. I stopped watching TV news a few years ago. I don't miss it. The old saying in journalism..."If it bleeds, it leads" says it all. I don't miss TV news either, Brenda. I agree with you 100% our world is focused on all of the "wrong," things. T.V. is only on for football(hubby) movies for me. I have to fill my mind with the good things. Just like what we eat we become, so is the same with what we fill our thoughts with. We need to find a balance between turning all of this off - yet keeping informed about the troubles in the world. Don't want the bullies to take over because we can't pay attention to them. Don't know the answer - just know it is a problem! Look for the joy, encourage the love, strive for peace! That is so true, Ellen. We do have to stay informed about the real news, but it is hard these days to filter everything else out. I think we DO need to stay informed....but watching the news, at least for me at this point in time, is toxic. I am trying to figure out how to stay informed and not raise my blood pressure. Not an easy thing to do. The "commercials", which we know will consume the TV and radio airwaves very soon 24x7 for the next many months, are beyond toxic. I truly don't know how many of them can actually run on TV with the blatant lies and too graphic images. Not to mention the $10 BILLION dollars the politicians are expecting to spend on this election. The screaming and the hate being spewed makes my stomach actually hurt. I also have stopped looking at Facebook for the same reasons. Additionally, I don't like reading political views of some "friends" who follow the trend and share such hateful thoughts. What in the world has happened to us? I completely agree with you, Chris. It makes my stomach hurt too. I think the internet has given many people the idea that they have carte blanche to spew whatever hatred they want. It is all so very toxic. I think I have an advantage here since I don't have cable TV anymore. So in the morning I can just go onto the computer, click on the weather channel, click on the local news station, click on 2 or 3 national news sites, staying informed but picking and choosing what if any stories to focus on. I don't have to suffer through commercials or anything either that way, come to think of it! :) Then Facebook....a quick and fast scroll through the memes and junk on there just to see babies and dogs and whatever's cute that morning and whew, I can be done. I do have cable, but I don't watch it during the day. I like to get my news from NPR and I like the BBC news. Other than that I steer clear of it. I have a theory about all of the crazy news subjects that grace our tv's. Now that networks are on 24/7, they need more data to fill their network. They know that "trash" sells. So, they are tapping into whatever they can to hold us captive watching. Now for the younger crowd, it probably is entertaining. But, for the older generations, not so much. They seem to just repeat the same stories over and over using different news anchors. My favorite news is the nightly news that comes on around 6:30 and 7:00. It's just 30 min long and gets to the meat of the story and is then gone. They don't have time to be "trashy". Ha! I think you are on to something, Kelly. Filler material and it is not good. Frankly I just don't see how the Kardashians are newsworthy. I have mush better things to do with my life. The interesting thing is that my grandchildren and their friends seem to have more sense than the 20 something year olds, but then again my grandchildren don't watch TV.